So, you recently opened your very own clips store and you’re wondering “why isn’t the money pouring in?” Maybe you had heard from other girls or producers that they make enough money off their one or two clip stores to make a living. Sounds easy, right? WRONG! There are few key components that you need to consider in your path to success. Sure, putting up a few videos here and there doesn’t sound hard, but let me break this down for you, consumer style: You’re out of your favorite cereal, so you go down the cereal isle at the market and find that the brand you usually buy has changed their product’s ingredients, you’re bummed but you pick it up hoping that it’s still the same. Well, you get home and it’s not. It doesn’t taste the same at all! So what do you do? You switch brands. Or, you’re out of your favorite cereal, so you go down the cereal isle and they are out of that kind. What do you do? Try something new. This is the way the mind of buyers work, and not just when buying cereal. Your overall brand consistency is the key to your success when it comes to clips. You may be asking yourself “well how do I develop that?” It isn’t the easiest thing on the planet, but success doesn’t come without work! The major clip sites out there give you an option to schedule clips for future posting. Utilize the hell out of this!! If your customers know that you have a new clip posted every day at 11am, with a different format following at 3-4 hour intervals the rest of the day, they’re going to check your clip store every day. If they know that you only post a new clip once or twice a week, they’re going to check just those days. How do you let them know? Easily! Tell them! Most clip stores allow you to have a description, so simply spell out “New clips posted daily at 11am!” and then stick to that. You don’t want to rush each day uploading a new clip to meet the deadline, so schedule clips a week, month or several months in advance to avoid stressing yourself out. In addition to your current fans knowing when to find you, having your store on the “recently updated” list on the front page consistently will bring new fans to you! You don’t like the new ingredients used in your favorite cereal, so why would you expect your buyers to like it if you are constantly switching between poor quality and HD quality videos? Now, I should be a bit more specific here. When you post clips, you can post the same clip in various formats/qualities, but specify that in the description! And do not post one clip in one poor quality and the next clip in excellent HD quality. 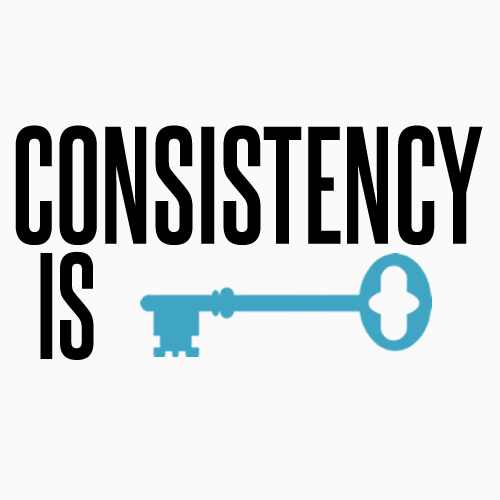 Be consistent! If your videos are always well lit with very little grain, keep that up. Make sure you’re always using the best lighting possible and the same camera. The only time you want to break consistency is when you’re improving your quality by adding better lighting or upgrading to a better camera. Ok, so you’re still a newbie and you don’t know what to post. Cool! That’s fine. You’re learning, but if something sells really well for you DO IT AGAIN! Don’t skip over it and never do it again. Sure, selling clips is a trial and error process, but if something works for you, continue it. You don’t want to wear the exact same outfit or speak the exact same lines, but the general idea/theme of the clip can remain constant without there being an issue. The best part about this is that when you have several clips of a specific category up in your store, often times new fans will go through and buy all of them, rather than just one! What does this all mean when you put it together? It means you’re going to need to film a lot, in advance. You’re going to need to maintain the quality of your camera work, lighting, and editing, and only ever move up in quality. And you’re going to need to shoot the same things over and over and over again. Best way to do this? Pick a day and shoot as much in that day as you can. If you manage your time well, you can knock out anywhere from 6-10 clips in an hour. That’s about a week’s worth of content! Plan ahead and know what you’re going to shoot, and you can get shooting clips down to an art that works for you. Your fans will see the hard work you put in and it will pay off.